Calling all lovers of nature and the environment, the annual Earth Day and Arbor Day festival is right around the corner. 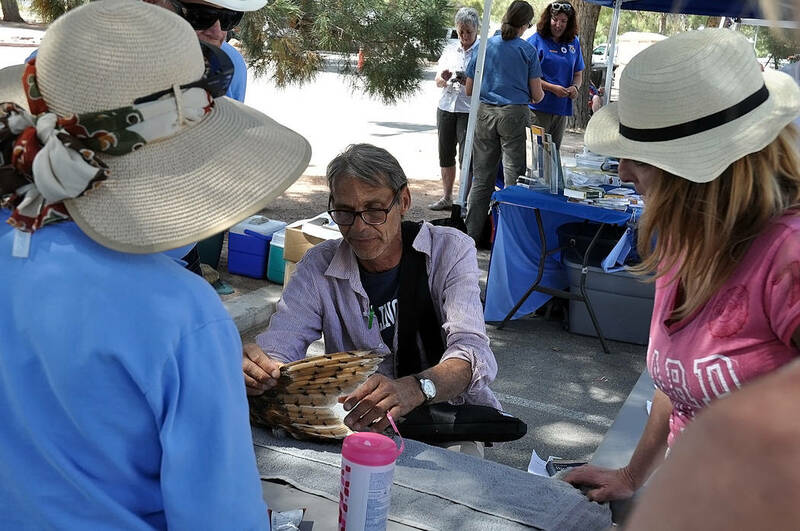 Horace Langford Jr. / Pahrump Valley Times Nature Conservancy member Len Warren explains the markings of a barn owl specimen during a past Earth and Arbor Day celebration. Horace Langford Jr. / Pahrump Valley Times In this file photo, children are shown participating in an interactive demonstration at the Discovery Park during a previous Earth Day celebration. This year's Earth and Arbor Day event is set for April 20. Scheduled for Saturday, April 20 at Discovery Park, the celebration will include entertainment and a huge array of activities for all to enjoy, from the very young to the young at heart. Raffles and a hayride will add to the fun and there will also be plenty of information on area organizations and how locals can help protect the environment and keep the world healthy. 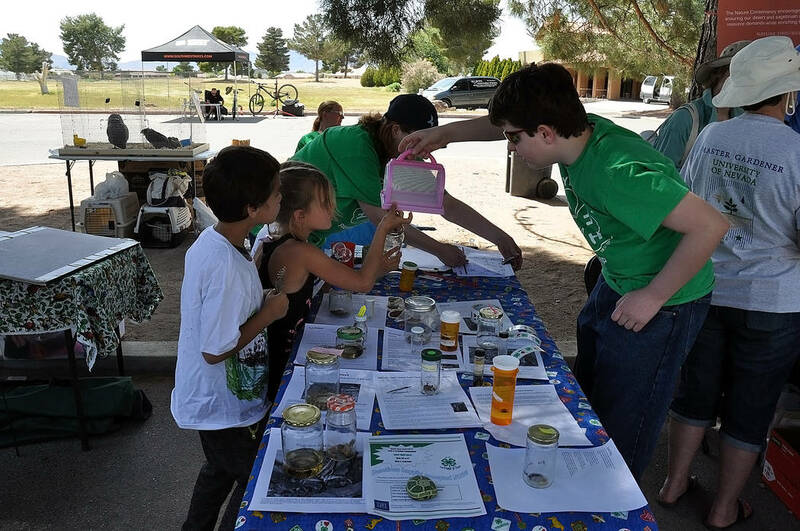 Monday, April 22 is Earth Day, while on April 26, National Arbor Day will be commemorated and the Pahrump area event brings together these two occasions with similar purposes in mind for a day of honoring the environment. True to the core of the festival, there will be exhibitors representing a variety of environmentally geared groups, such as the Red Rock Audubon Society, the Amargosa Conservancy, the Nature Conservancy, the Death Valley Natural History Association and the Southern Nye County Conservation District. Several state and federal entities are signed up to participate as well, including the Bureau of Land Management, the U.S. Fish and Wildlife Service and the Nevada Division of Forestry. Also joining the vendors will be the Southern Nevada Cooperative Weed Management Area and Tri-County Weed Control, along with the Nye County Water District, Friends of Red Rock Canyon, representatives of Ash Meadows Refuge and the Pahrump Public Lands Advisory Committee. There will be no shortage of Pahrump businesses taking part, with Home Depot, Pahrump Rentals and Do it Best Hardware, Star Nursery, Tractor Supply, Great Basin Water Company, Jessica Irelan Photography and ambassadors from Valley Electric Association all set to have booths at this year’s Earth Day and Arbor Day celebration. The local Bank of America branch is contributing too, providing the Shred-It truck at which paperwork and documents with sensitive or personal information can be safely and properly disposed. Pahrump Valley Auto Plaza, Pahrump Valley Disposal and Joe’s Sanitation are set to participate. 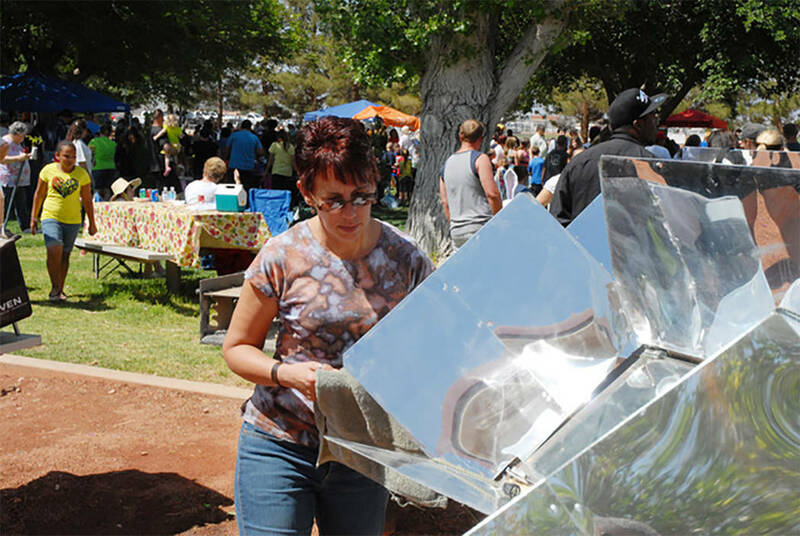 The Pahrump Valley Fire and Rescue Service is planning to add to the fun and solar cooking demonstrations are sure to attract lots of attention. Other vendors will include the NyE Communities Coalition, members of AmeriCorps, the Nevada Hemp Association, the University of Nevada Cooperative Extension, the 4H Club and Master Gardeners with professor and horticulture specialist M.L. Robinson, Clean Up Pahrump and of course, the organization sponsoring the event, the Pahrump Nuclear Waste and Environmental Advisory Committee. Several other well-known area events will have exhibits at the Earth and Arbor Day festival, including the Wild West Extravaganza and the Pahrump Powwow. Donna Lamm’s Pottery will be providing demonstrations and the Baha’i Faith will be exhibiting and teaching attendees how to create a snug home for leafcutter bees, a prolific pollinator important to the environment. With so much to see and do during the celebration, patrons are bound to work up an appetite and will undoubtedly want to take advantage of another portion of the event, the food. Chicago-style hot dogs and Frito Pie, to be served Santa Fe style right out of the bag, will be available for a donation, as will plenty of bottled water to keep attendees hydrated. The Earth Day and Arbor Day festival is set to run from 10 a.m. to 3 p.m. on April 20 under the pine trees at the Shadow Mountain Christian Fellowship Church, 1500 Red Butte St., in the middle of Discovery Park. For more information call 775-990-4793.